Residential and Commercial Mortgages for Property Development and Refurbishment. 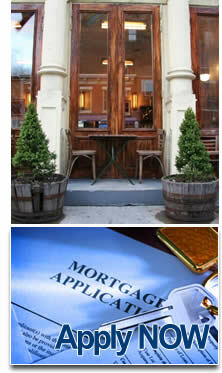 Commercial Mortgages for Nursing / Care Homes and Day Nurseries. Who can get a Commercial Mortgage ? In general terms we can arrange a Commercial Mortgage up to 80% of the 'bricks and mortar' value of the property or 75% of the business purchase price including goodwill etc. if you are taking over a going concern. We have strategic partnerships with lenders who will, in certain circumstances, offer a Commercial Mortgage to 100% funding if additional freehold security is made available. In addition we can often help you to secure additional top up and bridging finance for the purchase if necessary. We have special deals available of up to 95% funding for sitting tenants wishing to buy the business or Commercial Property they are currently successfully renting. Please call our office on 0333 405 1954 or submit application for full details. What interest rate will you pay ? The interest rate and terms offered generally depend on the amount you wish to borrow as a percentage of the purchase price, the term of the loan and your previous credit history. We have access to the most competitive interest rates anywhere in the market and guarantee to source you the best Commercial Mortgage deal possible. Interest rates currently start at 2.5% above bank base rate. Why Use a Commercial Mortgage Broker ? A Commercial Mortgage is a very specialised product with the majority of lenders choosing to work only via qualified and accredited Commercial Mortgage brokers and this becoming more important in the current financial climate. We will professionally assess your borrowing requirements and accurately match your needs with over 30 Commercial Mortgage lenders still actively lending in the UK.To get the loan formally approved in the fastest possible time we will fully package the application and submit direct to the lenders credit committee with supporting information. In the initial stages our aim is to quickly provide you a minimum of three firm and competitive proposals to consider, we will usually have a decision in principle within a matter of hours giving you the security and confidence of negotiating positively on your chosen business or commercial property purchase. Our specialist knowledge and advice will save you significant time and generally save you many thousands of pounds over the term of the loan by matching the best mortgage product to your exact needs. Throughout the process you are offered the dedicated services of one of our qualified Business Finance Consultants who will, if required, advise you on a wide variety of complimentary funding solutions for your business over and above the Commercial Mortgage requirement. We do not charge up front fees, our expert advice is given freely and entirely without obligation so please let us know your requirements. If you would like us to assess the best option for your commercial mortgage call us today at local rate on 0333 405 1954, submit an application or request a call back. We look forward to working with you in sourcing and delivering your commercial mortgage.